Stay secured while using a shared device. 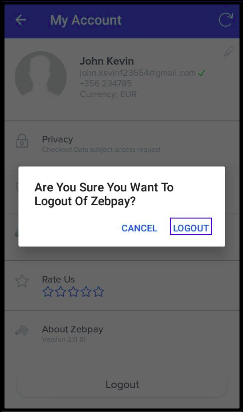 Use the logout option. 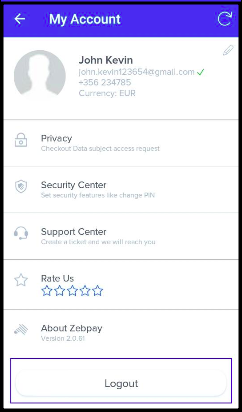 Select Menu and under My Account, you will have the option to Logout. When you need to log back in just enter your PIN and OTP sent on your registered mobile number and you will be ready to transact again.